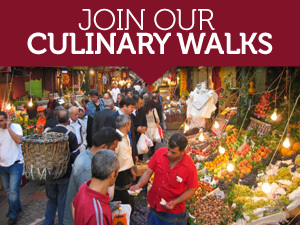 Southeastern Turkey’s culinary mecca of Gaziantep is best known for its baklava and kebabs. But lately we’ve been thinking that it’s soup that may actually be the city’s real crowning glory. 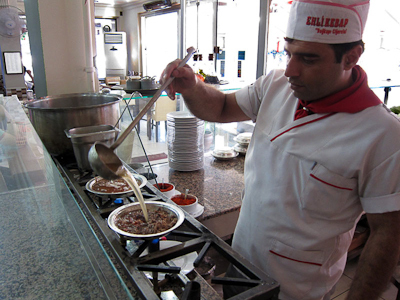 Not just any old soup, mind you, but beyran çorbası, a stupendously delicious lamb-based broth that is usually slurped down for breakfast in Gaziantep. Although this soup is probably best drunk at its source, we’ve recently come across a spot in Istanbul that serves up a very fine bowl of beyran – and not just for breakfast. 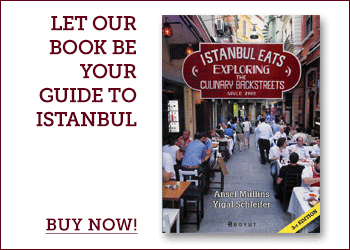 Located in the bustling Aksaray neighborhood, Ehli Kebap is a grill house whose advertised specialty is skewered liver in the style of Diyarbakır, a city a few hours to the east of Gaziantep. 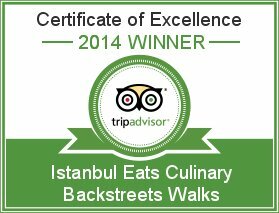 But tucked into the restaurant’s corner is a soup master with some serious Gaziantep chops who has his own cooking station – gaily festooned with strings of dried red peppers – devoted to making beyran.